Although I was pretty anxious about making lunches for all of us every day, so far things have been going pretty smoothly. 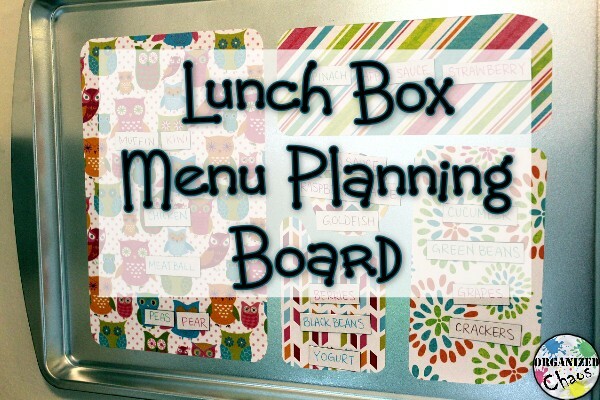 My lunchbox menu planning board is working well for me so far, and the girls are enjoying all of their food as well. And having the bento-style lunchboxes with separate compartments is awesome. I'm seriously thinking about getting one for myself. 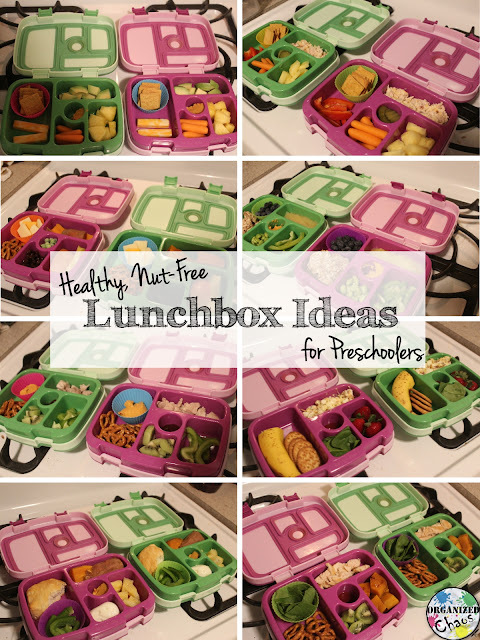 Today's post is short and sweet, but (I hope) helpful for busy moms like me: I made a visual of things I pack in the girls' lunchboxes to make it easier to create a balanced and yummy lunch quickly each morning. The image above is a high-quality (300dpi) image, so you should be able to save to your computer and print from home or send it to a printing service and have a nice print for your kitchen. This is basically the same idea as my lunchbox menu planning board but simplified. If you are using lunchboxes with different compartments like I am and don't want to think about where/how to pack everything each day, check out the post on my menu planning board. With this visual, though, you could easily laminate it and hang it on your fridge or somewhere else in your kitchen to use as a reference. If you like to plan out your meals and grocery shop once a week like me, you could use this to plan out your shopping list as well. I tend to pick about 4 veggies and fruits, 3 grains and proteins, and 2-3 dips for each week and then mix and match each day. 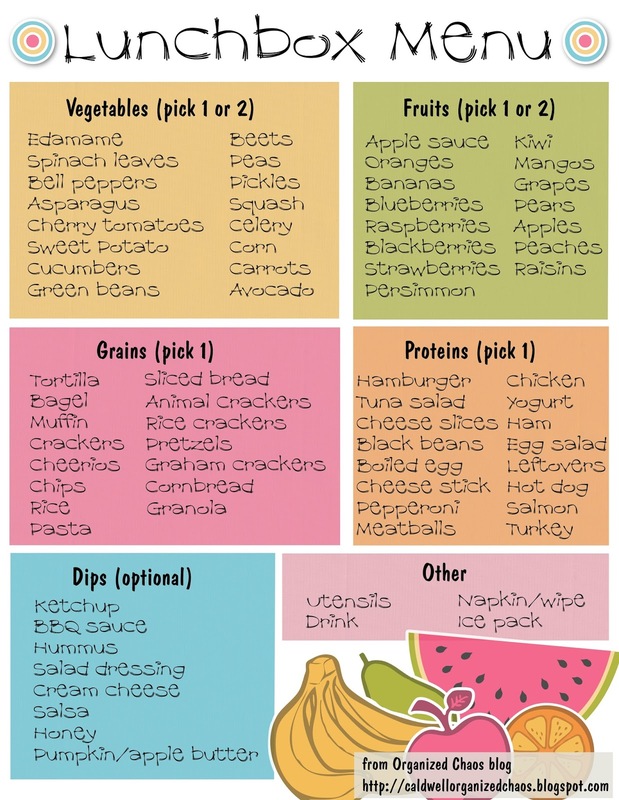 If you laminate this list, you can use a dry erase marker to mark the items from each category and add those to your shopping list. I hope this helps make your mornings a little bit easier! If you decide to download and use the visual, I'd love to hear from you! Leave me some love in the comments :) I'm also thinking about taking pictures of the girls' lunches each day for a week to help give you some inspiration- let me know if that's something you are interested in seeing. Have a great week! !